e with a massive concentration of black peppered fruit, cherry crush, sloe fruit and loads of licorice-laden berries. This wine creates a great mélange with the acidity of fruit and the tannins through the palate, giving the wine a powerful backbone and a good sense of balance. It hold on through to a finish that lingers for a good while with hints of coffee and star of anise. he Catena family is considered the “first family” of vintners in Argentina. The vineyards of Mendoza, where this wine comes from, are among the highest elevations in the world planted with vines, as they stretch up the foothills of the Andes Mountains and enjoy the temperate climate that comes along with this location. There are many levels of vineyards in the vast Mendoza region, which happens to be the world’s largest wine region. 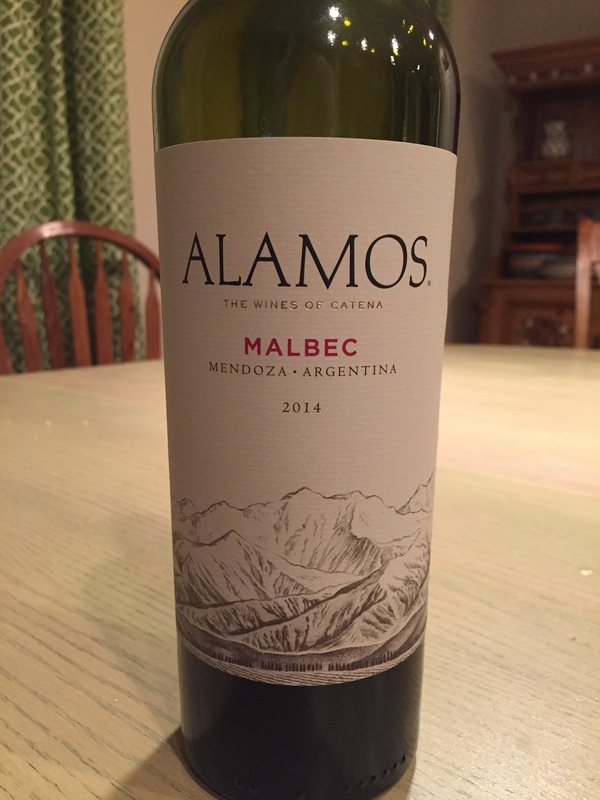 This wine comes from some of the highest planted vineyards, above 3,000 feet, giving the wine a dry, exotic touch,whereas malbec from the valley floor can be fruitier and less complex. This is an interesting wine that, based on its concentration and flavor profile, is an excellent alternative to more traditional cabernets and merlots normally found in the area. It might need about an hour out of the bottle before consumption, but should then provide immense drinking pleasure and will be good for the next five years or so.